By just taking on your usual routine warm up, you will know if your body feels good enough for working out. Sometimes, you will be feeling lazy for a workout, but may be hard to tell till you are in the GYM. However, you do not have to break the routine of that day. Remember that any exercising is better than none at all. If you land on to that day when you just feel lazy to work out, try some easy activities that will keep your body involved. 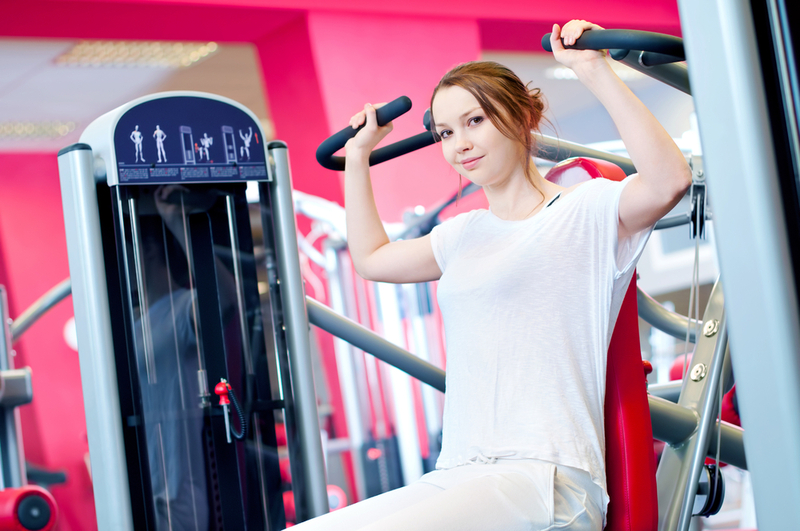 A day off the GYM could offset your progress. However, you cannot continue to hurt your body with weight even on the days when it has automatically switched off. You could end up picking an injury that will affect you and keep you off the gym for a very long time. A warm up helps to lubricate the joints, get the muscles stretched and increase blood circulation in the body. However, warming up is the best way to know if your body is ready for work out on that day. If you feel that your body is sluggish even after your routine warms up, then you should consider other options. You can tell when your body is ready for weights. On that day you feel worked out, embark on endurance or boosting your power. Both of these will require you to cut on the weight. For endurance, you can slash the normal loads by a half. This helps you to take sets with little recovery times in between. This will work on your endurance. For power building, you slash the usual weight to about 60%. This makes sure that you take part in many quality sets. It is, therefore, paramount to warm up properly as it gives you the direction you need to take for your workout. Warming up will also help you to prevent joint pains causes and muscle injuries. I know that many people never want to go back to the basic sessions. This is because most of the basics require a lot of discipline as they have to be done in the right way. However, you will often need to do the basics. They are important because you could be doing things the wrong way since you progressed to loading and other activities. Take time to do the basics when your body feels worked out. The basics will help you warm up. Again, it will help to remind you the correct ways of doing things. Basics allow you to perfect on the activities that you involve your body during a workout. Better still, it helps you become a master of your body. While doing the basics, you will use light weight. You will, therefore, perfect on the swings, weight resisting, and other important aspects. The secret is to keep going. Remember, you have significantly reduced the weight. These are other exercises that you do, mostly using your body weight as a load. They are an extra stuff that will help you improve on the other workout activities. In fact, they are preferred on a day when you feel lazy and are much better than those repetitive sets with light loads. Most of these activities do not need machines. These activities will help to boost your normal workout activities. For instance, band pull-apart closed grip bench press, triceps press downs, rows, and dips will highly benefit your bench press. This is imperative for the body. You do not have to involve your body with hard and high-intensity workout routines throughout the week. According to Glozine healthy news, recovery work is very important for the body and especially the muscles. The recommended recovery work is in the ration of 1:1. Therefore, for every one hour, you involve the body in high-intensity exercising; you will require an hour of recovery work. In fact, most of the people will feel worked a day after working out because they never have recovery work for their bodies. The most common recovery works include self-massage drills and mobility. They help to improve joint positioning, tissue quality, and range of motion. Therapists recommend recovery work to help in tissues and muscle development. When working out, be keen to listen to your body. This will prevent you from overworking your body. It will also help you reap more from training and workout sessions.The best workouts to do when one is feeling lazy include lightening the load or slash the normal loads by half, accessory work, going back to the basics and engaging in recovery work. Kathy Mitchell was born and raised in the USA. She has done MA in English literature. She loves to publish her article on different health websites. In her spare time, she likes to do research on health information. She is an inspirational writer who firmly believe in the power of self-motivation. Also, she is contributing to consumer health digest since 2011. Recently she had the opportunity to review Amberen reviews. Connect with her on Google+, Facebook and Twitter.